We’ve made it to the end of the month and the end of our 50 key messages. Many participants anticipated a greater culture of philanthropy. 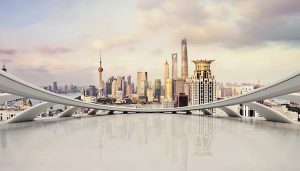 Findings from the qualitative research were generally optimistic about the future and a number of areas were earmarked for growth. Participants identified several areas of untapped potential with regards to giving and volunteering, particularly bequests and workplace giving. Accordingly, they foresaw a lot of potential for growth in these areas. Bequests were seen as currently underutilised and ripe to experience the anticipated intergenerational transfer of wealth in the coming decade as baby boomers pass on. Workplace giving was seen by respondents as an important, yet underdeveloped, funding stream for the nonprofit sector that offers real but as yet unrealised opportunities for growth. Participants emphasised that workplace giving offers benefits to all involved; generating greater workplace satisfaction and through automated payroll deductions offering ease and convenience to donors. 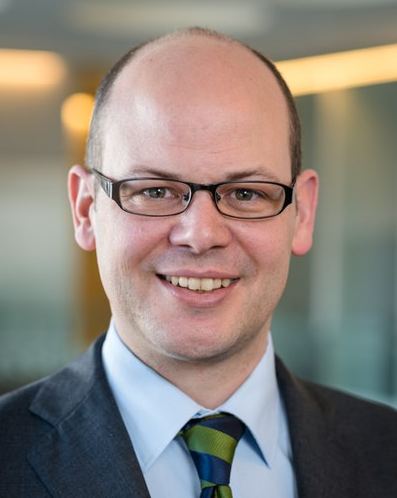 For NPOs it was seen to be particularly important because it provides a predictable income stream. While there was largely consensus around the likelihood for increased giving in the future, there were mixed perceptions on trends in volunteering, with some suggesting it may decrease with the next generation or increase as baby boomers move into retirement. However, particular types of volunteering, notably virtual, flexible and skilled volunteering were predicted to rise. There was strong speculation about the increased penetration of technology and social media, continually transforming the way in which people communicate, contribute and coalesce around issues. Society is witnessing the emergence of new forms of giving: virtual communities and volunteering, digital and text based, which were largely unpredicted. Next generation givers are expected to be engaged and shape the formation of many new and innovative means of fundraising. They will do it under their own terms, and organisations will need to be forward-looking, genuinely engaging with this cohort to learn their preferences to leverage opportunities in this new space. Along these lines, participants anticipated greater democratisation of giving as participation increases through peer-to-peer fundraising and crowdfunding, but potentially smaller gift sizes. 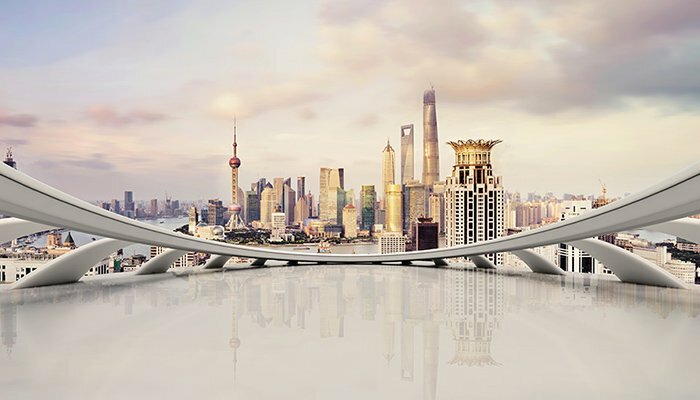 This may be a double-edged sword for NPOs as technology enables economic mobilisation of resources, but reliance on smaller gift sizes is not helpful for large projects, which have traditionally been financed through major gifts. NPO participants anticipated more partnerships and amalgamations between NPOs as people seek to pool funds for greater impact, mutual benefit and cost savings. Philanthropists too saw the future characterised by collaboration and consolidation. Many participants in focus groups and interviews espoused the view that mergers and/or strategic partnerships between existing NPOs would be highly desirable, especially with a view to reducing fixed costs (e.g. administrative expenses). The current trend of multiple charities addressing similar if not the same causes was widely perceived by philanthropists as resulting in ‘wasted resources’. Such duplication was described as counterproductive and effectively diluting the impact of finite resources. 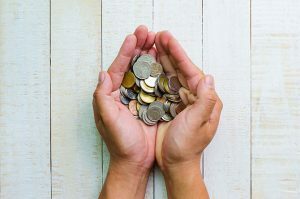 Nonprofit organisations felt that in order to secure funding in the emerging environment, good intentions were no longer enough; they need to be able to demonstrate effectiveness and value for money. However, many felt inadequate to provide such metrics. Greater focus by philanthropy on capacity building in the nonprofit sector was seen as an important path to increasing the impact of philanthropic giving. Many focus group and interview participants noted the lack of professional development training currently available for staff of NPOs. 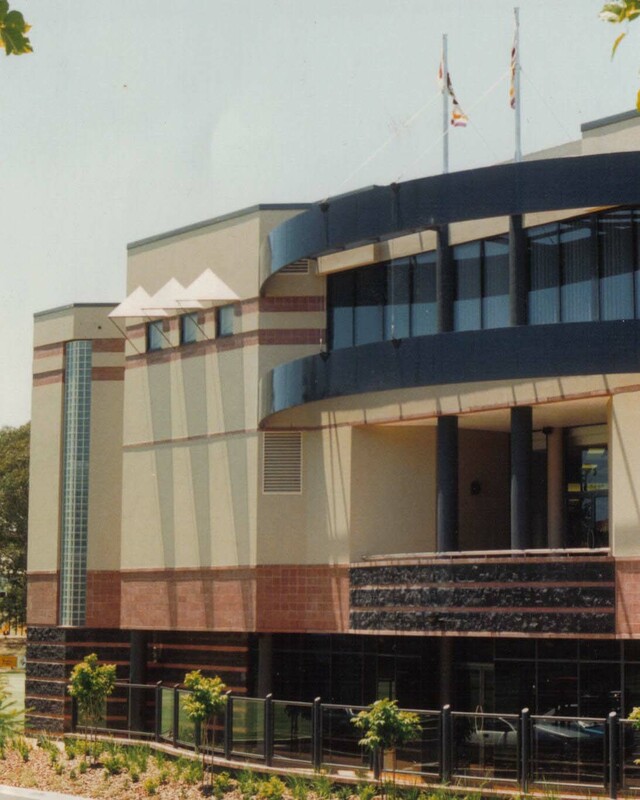 This issue was exacerbated by the desire to fund only direct delivery of charitable work, resulting in scarce investment in capacity building for staff. 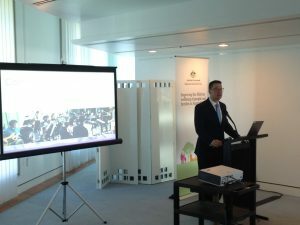 Education was considered a key enabler of growth for Australia’s philanthropic sector; normalising giving amongst the public, and enhancing the professionalism of those who work in the sector. There was a widely shared belief in the broadened definition of giving beyond just monetary contributions. There was also an identified need to normalise giving behaviours by shifting perceptions of giving from an act of wealthy citizens, to one that is routinely engaged in by ‘average Australians’. 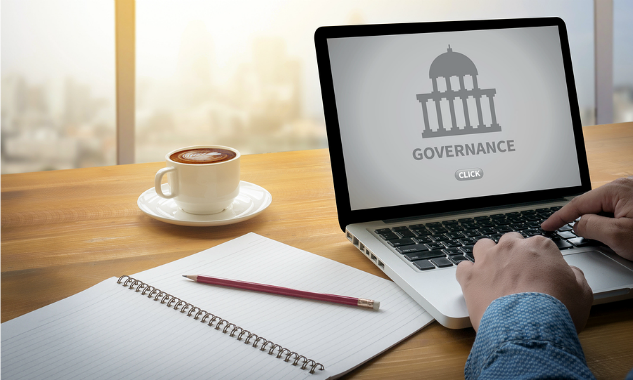 There were mixed feelings about the balance between government maintaining responsibility for addressing public needs, and shifting this responsibility further towards the philanthropic sector. 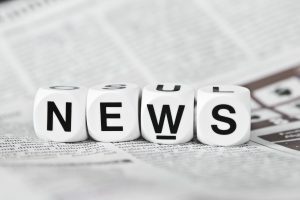 Concerns were raised in focus groups and interviews about government withdrawal from funding of key social services and support and about the perceived lack of long-term government vision for the philanthropic and nonprofit sectors and the social value they deliver. 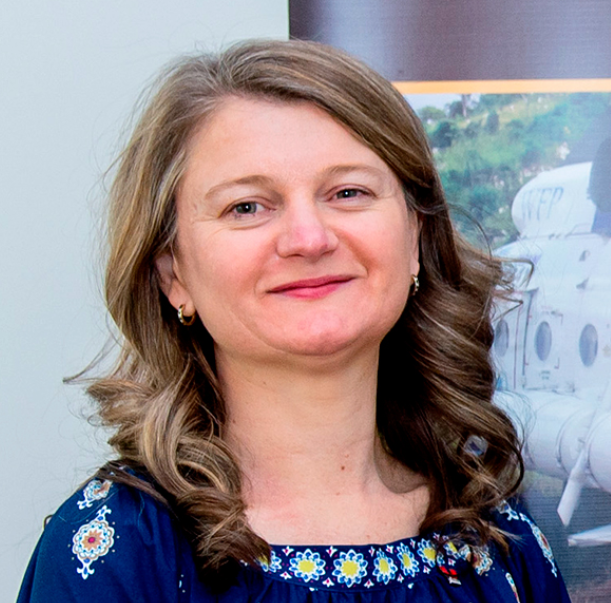 There were also views expressed that there are very real limits to the extent to which philanthropy can shoulder the burden of ongoing shifts in social responsibility and that to the extent that any such shifts occur they must be backed by adequate government support for the philanthropic sector. Overall, unlike earlier times characterised by loyal and longer-term giving practices, NPOs are now confronted by growing individual demands for demonstrations of transparency, closer scrutiny of operations and expectations for evidence of effectiveness, and expectations of involvement in decision-making and targeted and immediate forms of acknowledgment. If these demands are not met, there is increasing willingness to transfer allegiance to other more accommodating or aligned organisations. To remain relevant and sustainable in these changing conditions and practices, NPOs will need to be more innovative; transparent; deliberate in engagement approaches; and sensitive to individual needs (that is, person-centred rather than organisation oriented). They will also need to take stock of and consider the rise of online giving platforms and communities and their self-organising capacities, as there is a real risk of formal organisations becoming redundant, or at least, less central to future generations of givers. We hope you have enjoyed the 50 key messages from Giving Australia. Since 2005 there have been significant changes to the social, political and economic landscape not only in Australia, but throughout the world. The GFC affected donations quite significantly in Australia with the total amount donated and claimed as tax-deducible donations falling 10% from 2007-08 to 2008-09, and then falling a further 5% in 2009-10. While the amount donated then proceeded to rise, the percentage claiming tax-deductible donations has fallen every year since 2011-12 and currently sits at 33.4%. 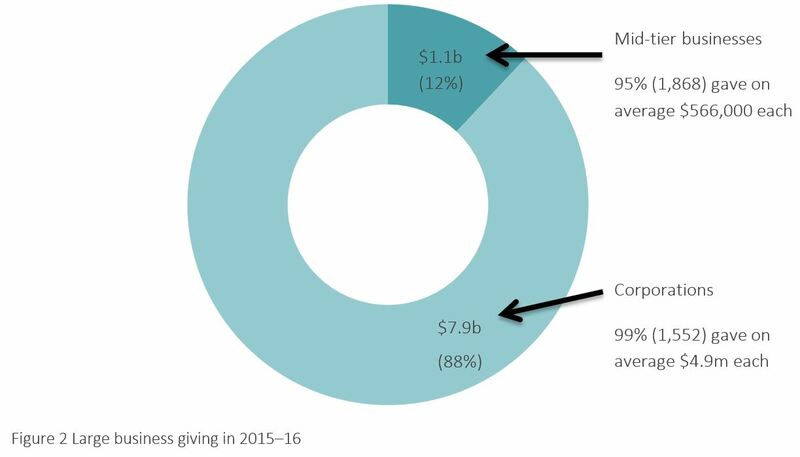 In 2004-05, when the first Giving Australia was conducted, 37.35% of taxpayers claimed tax-deductible donations. But perhaps the biggest development since 2005 has been the advancement in technology. It has transformed giving by changing the way we communicate information, research and monitor organisations, make payments and contributions and the way we are able to form online communities. Technology provides greater ease and efficiency in communicating information on the activities, goals and effects of organisations and causes to existing and potential givers and volunteers. Social media, particularly Facebook and Twitter, were identified as those tools most important for wider engagement and had the potential to attract a broader giving and volunteering audience. Aside from organisational communication, younger individuals reported drawing on technology and social media to communicate with peers and wider communities of interest to share information and mobilise action. Making these types of information available online helps donors to inform themselves and engage with a topic, as a precursor to relationship building. Communicating information about the NPO, cause or initiative is a foundational task in a prospective donor having trust in the initiative/organisation and having a relationship with the organisation. Technology makes giving easier, a key element to increasing donations. But it also allows potential givers to undertake research on causes. It can be a double-edged sword, with negative stories about certain organisations directly affecting a person’s willingness to give to them. I just happened to look online at [NPO] and read a whole bunch of bad comments from supposedly ex-employees and disgruntled ex-employees that implied that new management had come in, programs had been cut and a greater percentage of money was going to marketing and a lower percentage of money was going to actually doing what they said they were doing. I don’t have time to look into that, they just got chopped from the list. They’ve probably lost $700 to $1,000 from me. Is that fair? I don’t know (Focus Group -young HNWI). Other concerns about technology were raised including a ‘digital divide’ between younger and older Australians which could make it difficult to decide which media to use if trying to target a wider audience. Many organisations lacked the ability to fully leverage the scale, scope and efficiencies offered by technology and poor technology use was seen as worse than no technology use in many cases. Alongside the many benefits of technology and social media, participants also highlighted concerns related to security, the cost of upkeep and the de-socialising effects of excessive de-personalised communication. The implication was that organisations need to invest time and effort keeping their websites and other social media outlets up to date, engaging and monitoring this to retain a level of ‘quality’. Recognition of the benefits of technology and social media aside, there remained a strong view that face-to-face relationship building and communicating will remain just as important in the future as it did in the past. Online and digital giving offered many opportunities for initial connections, but to retain these givers, an ongoing relationship was necessary and personalised communication was required. Two-thirds of charities surveyed believed that technology was quite or extremely important for the future of giving and volunteering. However, only one-fifth (20.1%) of respondents to the charity survey felt that they were currently using technology quite or extremely well. Most organisations surveyed were engaging to some extent with these technologies, having at least a web page (76.6%) and/or social media presence (59.1%). Charities with paid staff or revenue of $100,000 or more had more capacity to engage in human resource-heavy forms of communication like updating websites and maintaining a social media presence. Charities from the animal protection, law, advocacy and politics, international and culture and recreation sectors had the highest uptake of both websites and social media. In terms of websites, only 46.8% reported the website was optimised for mobile technology, and even fewer (36.2%) could receive donations through their website. The purpose was primarily information hosting (96.3%), sharing news (71.3%) or promoting events (51.7%). Use of websites for more active management of operations, or appealing for specific items, was much less common. Social media was viewed as being particularly important for advocacy-type organisations that were able to tap into news and current events. Like websites, most survey respondents using social media saw it as an information channel (92.7%) or for communication with members and supporters generally (79.2%), including promoting events (75.9%), rather than a means of transaction (7.1%). Qualitative participants felt the reasons for this could include difficulties converting past ‘asks’ on social media into tangible results. Consistency of social media posting was also mixed. While at least half of respondents updated their social media accounts at least several times per week, many posted relatively infrequently. With the increased uptake of technology, focus group and interview participants felt that giving behaviours had become more collaborative, especially through the use of crowdfunding and peer-to peer fundraising. These platforms offered enormous benefits to donors and organisations according to participants. The collaborative, social element to peer-to-peer fundraising could help build a sense of connection among supporters with common interests. However, converting supporters of peer-to-peer fundraising events into regular donors was reported as particularly challenging. 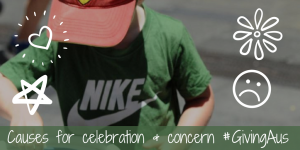 People may be interested in the event or supporting a friend, colleague or family member, but not necessarily as interested in the cause or the organisation behind the event. The end of the financial year is fast approaching so it is time to give those last minute tax-deductible donations to your favourite charities. But how common is claiming tax-deductible donations in Australia? The annual ACPNS investigation of tax-deductible donations revealed that in 2015-16 33.4% of taxpayers claimed tax-deductible donations totalling $2.9 billion. The average donation was $633.72, while the median donation was $110. This is similar to the results from Giving Australia where the average donation was $714.61. The data has consistently showed that a greater proportion of female taxpayers claim deductions than male taxpayers, although male taxpayers give more on average. Not surprisingly, the more one earns, the more one claims as a tax-deductible donation. Similarly, taxpayers in higher income brackets are more likely to claim deductions for donations than those in lower income brackets (e.g. 57.15% of taxpayers in the $1 million or more income band claimed a deduction, compared to 33.4% of all taxpayers). Not all donations by individuals are tax-deductible, often because the recipient organisation is not a DGR such as most religious organisations. Even if the donation is tax-deductible many are not claimed by individual taxpayers for a range of reasons. 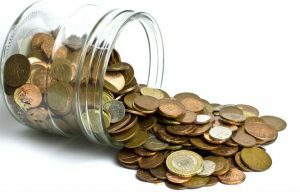 Giving Australia revealed that the most common reason for not claiming a tax‑deductible donation was choosing not to make any claims, followed by not keeping receipts. Before donating, 16.7% of survey respondents checked the organisation had tax-deductible status, 5.8% checked it was a Public Benevolent Institution and nearly 12% checked the organisation was registered with the ACNC. Nearly 60% did none of these before making a donation, perhaps because they already knew the organisation’s DGR status. Today is the final day of Volunteering Australia’s National Volunteering Conference so we are going to take a look at volunteer recruitment and recognition. 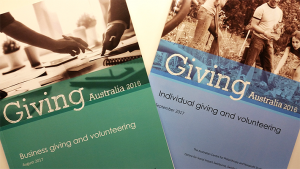 Almost all charities responding to the Giving Australia charity survey had help from volunteers in carrying out their mission in their most recent financial year (93.4%). Charities were most likely to have between 1 and 19 volunteers (46.2%) or 20–99 volunteers (35.2%). Only 12% of charities had 100 or more volunteers. In terms of the management support provided to volunteers, of the respondent organisations with volunteers, 56.7% had a training program (for 18% this was a formal program, and for 38.7% this was an informal program), 39.3% had position descriptions for volunteers, while only 6.4% had formal contracts for their volunteers. Managers of volunteers were seen by many focus group and interview participants as critical to the success of the organisation but it was challenging to support ad hoc volunteering arrangements while trying to meet the organisation’s need for certainty around the timing and quality of particular outputs of volunteer work. Managers of volunteers, when interviewed felt that there can be a lack of understanding and support for their role perhaps due to it growing organically from an existing role until there are substantial numbers of volunteers. Some 62.3% of respondents to the charity survey actively recruited volunteers in 2016. Organisation size did not affect the likelihood of volunteer recruitment. Word of mouth was the most common method of recruiting volunteers, but a paid manager/coordinator of volunteers was considered the most useful. Organisations with a manager of volunteers (paid or unpaid) had greater success recruiting volunteers (52.7% quite or extremely successful) than organisations without a manager of volunteers (37.8%). The top reason respondents to the charity survey did not engage in volunteer recruitment in the past financial year was having no need for extra volunteers. This was followed by not having the staff or volunteer resources to undertake recruitment. 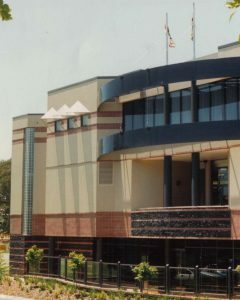 Under-resourcing, including due to government grants described as insufficient to meet costs, was also noted as impeding volunteer recruitment efficiency, and inclusiveness. … it is really hard for under-resourced organisations to be inclusive in their volunteering practices. So we know that there are multicultural communities who embody the principles of volunteering in their everyday life but they don’t connect with the formal volunteering sector because there are no pathways for them to do so, and we find the same thing with people with mental health barriers, people with disabilities and that sort of thing as well, organisations – so 46% of organisations that we surveyed cannot, because of under-resourcing, take on volunteers with barriers. In terms of volunteer recognition, public acknowledgment of individual volunteers was the most commonly reported way to recognise volunteer contributions (55.7%), followed by a special gathering/celebration or personal written thank you. However, close to 15% of respondents reported that their organisation did not provide any formal recognition to their volunteers. 50 Key Messages – Why Volunteer? Today we are continuing our look at volunteering due to Volunteering Australia’s National Volunteering Conference being held in Sydney. Today we are going to look at the reasons why people do and do not volunteer. The reasons for volunteering were often closely aligned with the reasons for giving money. For many, volunteering has been an important part of their childhood and upbringing and resonates with their other values. Even more so than with giving money, the sense of satisfaction from using knowledge, experience and skills to contribute to the community was highlighted among volunteers. Reciprocity was also identified as a strong driver for volunteering. Qualitative participants spoke of volunteering offering personal mental health benefits. This was seen by managers of volunteers as an interconnected relationship whereby providing help for others in an altruistic way bestowed mental health benefits on the volunteers, which in turn would benefit society as a whole. One participant mentioned in particular how volunteering could give young people a sense of focus and direction in life, which in turn could go on to provide societal benefits. Another motivation for volunteering, particularly for younger volunteers, was the ability to obtain practical skills or course requirements. One of the most prominent motivators identified by focus group participants from culturally and linguistically diverse (CALD) communities was the sense of responsibility to one’s community. This responsibility appeared to be linked to a childhood experience, and focus group participants described modelling their behaviour on family members or teachers. For many, this sense of responsibility went further and developed into a way to stay connected to their community and/or culture. For others, there was a strong socialising benefit for volunteers born overseas, which helped them to learn about Australian society and fit in better, as well as to secure employment. Descriptions of factors influencing giving and volunteering were generally heartfelt and not undertaken for personal gain or acknowledgment. Barriers to volunteering were also discussed in the interviews and focus groups. Just as with giving, social changes limiting personal spare time were a notable barrier to volunteering participation. Multiple participants noted that women are less likely to be full-time in their home, and are instead balancing work, life and family. This shift diminishes the amount of time that women could perhaps have devoted to charitable work. It was reflected that in times past, many workers were able to maintain a more clearly compartmentalised work and home balance. Where work hours previously occurred between set hours (often 9 am–5 pm), participants perceived that employment is now more fluid. This lifestyle shift was noted to include irregular hours and/or scope to take work home and work off-site. Inconsistency and fluidity of paid employment commitments had influenced the scope to secure volunteers, who once might have been able to commit to regular weekly/monthly voluntary shift hours, but now required flexibility to engage in voluntary activities in conjunction with an unpredictable paid employment schedule. To help combat this, half (49.6%) of all organisations with volunteers surveyed offered virtual volunteering opportunities, where people could volunteer without being physically at the organisation. Most commonly, these opportunities involved volunteering online. Other ways people could volunteer virtually included promoting the organisation via social media and using phone or Skype to help in reading programs, mentoring, coaching or maintaining contact with vulnerable persons. Turning attention to strategies that might move spontaneous volunteering to a more committed form, participants felt that greater government acknowledgment of their contribution to society, and recognition or reimbursement of the often considerable out of pocket expenses incurred, would assist. While individual and organisational tax incentives were noted as being important to the giving of money, there was a much greater debate on this matter with respect to its effect on volunteering. Recognising the change occurring within the community and the sector, leading to uncertainty of funding and sometimes fewer/shorter/narrower volunteering opportunities, several participants suggested a national database or volunteering passport allowing people to move more freely between projects and organisations, without the need for additional review and monitoring. A further idea was the ‘modularisation of volunteering’, also described as ‘Uberisation of volunteering’ (Focus group, Managers of volunteers, VIC); that is, introducing a higher level of mobility or transferability to volunteering so volunteers can easily complete tasks for multiple organisations. Both our data and extant research shows that people are more likely to give and volunteer to those organisations they know and trust and those they believe can genuinely make a difference. This finding points to the need for organisations to strategically examine their relationships with volunteers, and devote more time to thinking about activities that will facilitate and sustain this trust over the longer-term. Volunteering Australia’s National Volunteering Conference kicks off today so what a great time to talk about the wonderful people that enable so many of our community organisations to run every day. Overall, 43.7% of Australians volunteered an average of 134 hours (median was 55 hours). This equates to a total of 932 million hours for the Australian population. Women were more likely to be volunteers than men (46.9% vs. 40.3%) as were those aged between 35 and 54 years. However, older volunteers contributed the most time on average (193 hours in the year – that’s 3.7 hours a week). Couples with dependent children living at home had the highest volunteering rates (51.8%), followed by those living in a group household of related adults and children (50.9%). Those living alone contributed the most hours on average over the year (176 hours), followed by couples with no children at home (158 hours) and couples with independent children living at home (153 hours). While our volunteers are valued for all their contributions they give with their time, they also give more than non-volunteers financially too. Some 87.4% of volunteers also made at least one monetary donation. Those who were volunteers, as well as monetary donors, gave, on average, $1,017.11 while those who were monetary donors but were not volunteers gave, on average, $536.69. The types of organisations for which most respondents commonly volunteered were quite different to those that were most common for donations. In 2016, around one-fifth of volunteers volunteered for primary and secondary education and sports organisations. A further 18.3% volunteered for religious organisations. Health (including medical research), social services and emergency relief were also commonly listed cause areas for volunteers. While women were more likely to be involved in primary and secondary education, men were more likely to volunteer for emergency relief organisations. The cause area attracting the most volunteers differed according to age group. For those aged 18–24 years, religion, sports, health and social services were the most commonly reported cause areas. Only 3.1% of volunteers in this age group volunteered for environmental organisations, 4.4% for animal protection and 7.5% for international development organisations. For those aged 35–44 and 45–54 years, the most commonly reported cause areas were primary and secondary education and sports, respectively. For those aged 65 years and older, religion, health and social services were most common. Let’s talk about non-donors. A fifth of all Australians did not give money to an organisation. More than half of these non-givers (55.7%) reported they cannot afford to give. The next three reasons, however, all related to a lack of trust in the charity. I don’t believe that the money would reach those in need (31.8%). Some 48.1% of non-givers indicated that better information on how the money will be spent would influence their future giving. A quarter said they would give if they had more money. However, 22.3% said they would not be influenced by anything. Other giving disincentives that came through strongly in interviews and focus groups were what participants termed intrusive fundraising: particularly evening phone calls and aggressive canvassers. This pressure presents a dilemma for participants as they generally believe in the cause or know it is important, yet are reluctant to give under perceived pressure. Furthermore, the ‘polished spiel’ of street fundraisers was considered widely to lack authenticity and pointed to the commercialisation of giving, something that some participants found abhorrent, and many felt uncomfortable about. 56% of the adult population were not volunteers. Just as with giving, social changes limiting personal spare time were a notable barrier to volunteering participation. It was reflected that in times past, many workers were able to maintain a more clearly compartmentalised work and home balance. Where work hours previously occurred between set hours (often 9 am–5 pm), participants perceived that employment is now more fluid. This lifestyle shift was noted to include irregular hours and/or scope to take work home and work off-site. Inconsistency and fluidity of paid employment commitments had influenced the scope to secure volunteers, who once might have been able to commit to regular weekly/monthly voluntary shift hours, but now required flexibility to engage in voluntary activities in conjunction with an unpredictable paid employment schedule. Multiple participants noted that women are less likely to be full-time in their home, and are instead balancing work, life and family. This shift diminishes the amount of time that women could perhaps have devoted to charitable work. This was predicted to be a continuing trend. A strong view emerged from the qualitative material that, although regulation was important to safeguard people and the industry, over-regulation worked against participation and progress, including the opportunities to be innovative and responsive to changes. There were also comments that some safety regulations were onerous and significant variations in state regulations concerning police checks were confusing and inefficient. Community partnerships are agreements (most frequently formal) between a business and an NPO for the business to give either funds, management time and capability, workplace volunteers (or all of these) to support the NPO realise its objectives or to deliver a jointly agreed objective. Partnerships of this nature require mutual obligation and most frequently require the business and the NPO to apply formal protocols and organisational capability to steward the relationship between the two parties. Large business giving through philanthropy and strategic philanthropy has moved more towards allocating money, management time, workplace volunteers and other resources to community partnerships. Community partnerships accounted for 69% of the total value of large business giving ($6.2 billion). SMEs did most of their giving through donations and community sponsorships, which tended to be transactional and demanded minimal management time. 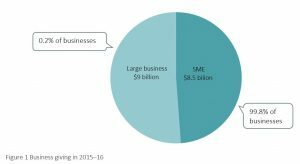 Some 18% of SME giving was through community partnerships ($1.6 billion), which typically sought to generate a social impact and required more management time and resources. 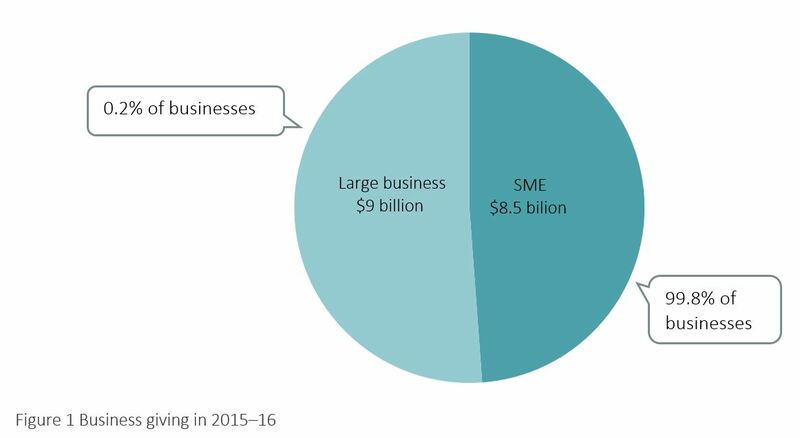 While SMEs were broadening their giving to support community partnerships, most mid-tier businesses and almost all corporations were seeking to manage a portfolio of giving vehicles as part of their corporate strategy. Twenty-two per cent of charities surveyed reported being currently involved in at least one partnership with business. The most common number of partnerships was one per organisation, though high numbers for some respondents increased the mean number to five. The highest reported number of partnerships for any one organisation was 100. Of those charities reporting involvement in partnerships, nearly half were involved with 2–5 partnerships. Only 9% were involved in 10 or more partnerships. Just as large businesses reported an increase in partnerships, NPOs similarly were working towards more partnerships with businesses. Charities reported a range of benefits from their most significant community business partnership. Contributions of services and promoting the charity were the primary benefits identified by respondents, followed by monetary contributions. Business executives indicated that most community partnerships included performance targets and indicators to assess if partnership investment and activity were making progress towards a partnership’s agreed objectives. This research also found that in corporations, considerable effort is applied to aligning workplace volunteering and some of the focus of workplace giving to corporate community partnerships. The rationale for this is to provide partnerships with more resources to maximise the opportunities to generate social impact (to ‘make a difference’). The larger the business, the more community partnerships the enterprise tended to enter and manage. CEOs and senior managers reported that they undertook a smaller number of partnerships, each operating over a longer period and to which they allocated more resources. The strategic rationale for this was that such partnerships maximised the potential to generate beneficial social impact. This is consistent with the results from the charities survey where organisations with at least one paid staff member were more likely to be involved in a partnership that those run entirely on volunteers. Nearly one-fifth of charities that did not engage in partnerships identified a lack of staff or financial resources as the reason for not being involved. Interestingly, most respondents were open to business partnerships but viewed the barriers to doing so as prohibitive for various reasons, including: inability to match business’ priorities with their own; a lack of resources; or a lack of interest from business despite efforts to engage. 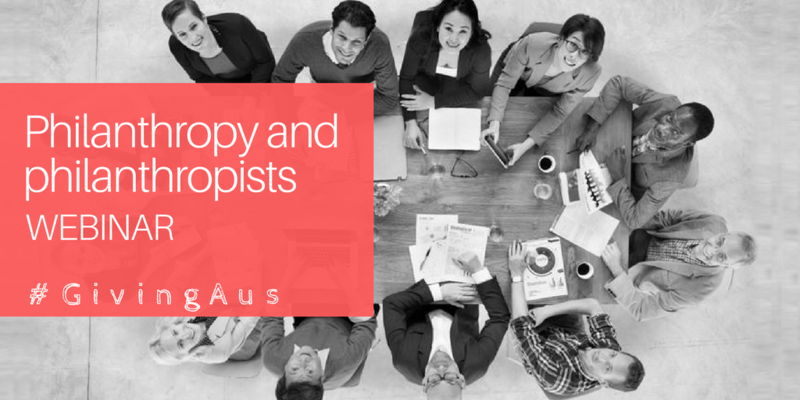 The popular vision for Australia’s philanthropic sector was a landscape characterised by collaboration and consolidation, along with increased capacity and impact. The coming together of reductions in public funding and increasing community need is leading to ever greater competition for philanthropic dollars. Many participants in focus groups and interviews believed that mergers and/or strategic partnerships between existing NPOs would be highly desirable, especially with a view to reducing fixed costs (e.g. administrative expenses). The current trend of multiple charities addressing similar if not the same causes was widely perceived by philanthropists as resulting in ‘wasted resources’. Such duplication was described as counterproductive and effectively diluting the impact of finite resources. Greater focus by philanthropy on capacity building in the nonprofit sector was also seen as an important path to increasing the impact of philanthropic giving. Many focus group and interview participants noted the lack of professional development training currently available for staff of NPOs. Participants highlighted the tension between donors wanting charity dollars to go directly to the charitable work being undertaken, versus resourcing the organisation to build their capacity to deliver programs and services more efficiently or effectively. A related barrier noted by philanthropists was not seeing a significant impact from giving, or feeling that not enough effort was being made to maximise the value of the gift in generating sustainable positive outcomes. Participants recounted quite different experiences of funding the same types of organisations, reiterating the point that quality of reporting and communication matters in perceptions of impact. Increased transparency of both philanthropic and NPOs was repeatedly called for and viewed positively by the qualitative research participants. However, specific examples of how this might be achieved were notably lacking in the data. Tension existed between the need for effective giving to be demonstrated through reporting and evaluation and supporting innovative or unproven projects that meet emerging needs. Let’s talk philanthropy and technology. Participants noted that the philanthropic sector is drawing more on available technologies and data to communicate and collaborate, identify needs, match givers with recipients and enable giving. Examples included greater use of internet based communication technologies and social networking media to connect family members, directors/trustees and partnering organisations working across greater distances, whether this was connecting volunteers in rural or remote settings collaborating via Facebook, or overseas family members and philanthropic partners attending meetings via Skype. Indeed, 58.9% of funds used social media (primarily Facebook, Twitter and LinkedIn). Participants also reported that the reach of social media and online technologies were changing awareness of where money can be given, how this can be done (for example, online) and who can be recruited to give or become an advocate of giving. There was recognition that online technologies and social media could be very effective in increasing access to relevant information and growing networks, but also that with this connectivity brings a level of risk, in that content created and shared by the network cannot be controlled. As technologies and data become more accessible, there is a greater focus on process improvement and optimising use of available resources. Organisations are making more use of the available information and communication technologies, moving towards grants management software and utilising online applications for grants to provide efficiency improvements for both grantmakers and applicants. However this was still a relatively new phenomenon with three-quarters of funds surveyed not using grantmaking software. Some advocated greater use of technology in the philanthropic sector, but some expressed frustration at the absence of fit for purpose systems to support delivery, and felt that further improvements to the available technologies were needed before their adoption could provide greater effectiveness. Participants noted that technologies may open up more opportunities for younger or increasingly tech-savvy people to get involved with philanthropy and increase the capacity for philanthropists to connect with and learn from each other. Despite the increasing uptake of social media, communication and donation technologies, preferences around their use still differed between individuals and participants noted that not everyone in the philanthropic sector would be interested or expert in using the available technologies. There was a strong sense that these do not necessarily replace approaches focused on personal contact. Giving Australia found that philanthropists primarily supported social services, education and research and health organisations. More than half of respondents indicated that grant recipients must have charitable (TCC) status and two-thirds required recipients to have Deductible Gift Recipient (DGR Item 1) status. More than 80% of respondents reported that they have a process to review areas of funding with 60% conducting this review annually. It was most common however (72.5%) for grantmaking priorities to not change significantly and when they did it was mostly a tightening of focus. When it comes to grantmaking processes however, more than half indicated that these have changed significantly over the past 10 years. evaluation of effectiveness for both the funding recipient and grantmaking organisations themselves. early development of algorithm-based technology to assist review and decision-making. Giving collectives, frequently also called giving circles, are groups of people who pool their donations and jointly decide how to allocate them. Giving circles pool donated funds, then make grants mostly to small, local nonprofit organisations or individuals. Circles educate their members about philanthropy and issues in the community, provide a social forum for members, and engage members in volunteering. Collective giving is an easy and social entry path into philanthropy and 38.5% of philanthropy respondents participate in collective giving. Of those who participate in collective giving, 90% indicated they were motivated by the desire to encourage giving by others. Opportunities to network and belong to a community were identified as valued social aspects of collective giving, present for both philanthropists and the NPOs involved. 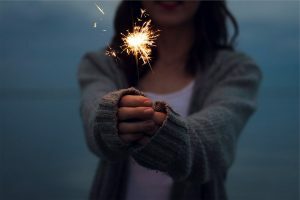 Several participants observed that women may be more inclined towards collaborative models of giving which provide opportunities to connect with and learn from others involved in considered giving approaches. Although these social aspects were not viewed as the primary aim of giving collectives, they were mentioned multiple times as a perceived benefit to members – but one that could best be sustained by strong engagement with the underlying charitable purpose of the group. Identified challenges of collective giving included sustaining the large amount of time and effort required by organisers and the need for broader awareness of collective giving opportunities among philanthropists. Although some focus group and interview participants expressed concern that collective giving should not detract from other philanthropic activity and the longer-term support required to address persistent social issues, there was a sense of optimism that collective giving is attracting new philanthropists, encouraging giving and could provide an opportunity to harness resources that might not otherwise go to the nonprofit sector. Thinking about studying philanthropy and nonprofit studies at QUT? Get in quick, applications close this Thursday, 14th June 2018. Giving Australia consistently found that human resources were the most valuable resource to charities, whether they were paid or volunteer. Furthermore, the primary reason listed for not fundraising or engaging in volunteer recruitment was not having the personnel (staff or volunteer) to undertake these roles. Beyond staffing, having more knowledge and deeper understanding of fundraising best practice, the issues involved in volunteer recruitment, how community business partnerships work and how to run a social enterprise were all identified as important for improving NPOs’ support generation capacity. This may include training and professional development opportunities for existing staff as well as harnessing new technologies to effectively engage with current and future supporters. Research participants offered a number of thoughts on how to strengthen future giving. Opportunities for mutual benefit should be identified or created and may include collaborative funding arrangements, co-location and shared back of house costs. Having a paid or unpaid coordinator/manager of volunteers was found to be the most critical resource for recruiting and retaining volunteers, highlighting the importance of focused efforts and investing in human resources. Specific skills gaps were identified in terms of outcomes measurement and corporate volunteering. Nonprofit CEOs and board members also needed development opportunities in monitoring and resourcing support generation. Virtual, skilled and flexible volunteering opportunities were needed to suit emerging demographic and lifestyle trends. This offering may be particularly important for women and young people and can be a pathway towards further support. Participants also emphasised that good practice was perennially all about relationships. Understanding and meeting donor and volunteer motivations, preferences and expectations were the keys to success, regardless of channel. Unnecessary red tape dampening especially volunteering was a consistent comment. Change was needed (e.g. police checks and responsible service of alcohol certificates for volunteers at local fundraising events). Although the importance of such regulation was recognised, there was a general sentiment that the red tape should be minimised to be less time‑consuming and not deter potential volunteers. Another key policy area of concern for the nonprofit sector was privacy laws, triggered by observing recent occurrences in the UK sector. While the government was seen to have an important role in protecting the privacy of online and other donors, participants expressed fear of restrictive knee-jerk policies. Bequests and workplace giving were two areas identified by participants as having a large unrealised potential. With the right enabling environment, be that around more promotion, more incentives or more understanding of these areas, they were seen as significant, neglected opportunities to grow giving. Study respondents sought ongoing information on topics such as: giving and volunteering trends; effectiveness of different fundraising mechanisms across cause areas; and uptake of specific technologies by different demographics. The Graduate Certificate of Business (Philanthropy and Nonprofit Studies) includes eight key business units, all delivered through a nonprofit lens. Each unit is designed to give you the skills and know-how to manage a nonprofit organisation. Today marks the start of QLD Philanthropy Week by the QLD Community Foundation, of which QUT and ACPNS are a major partner. 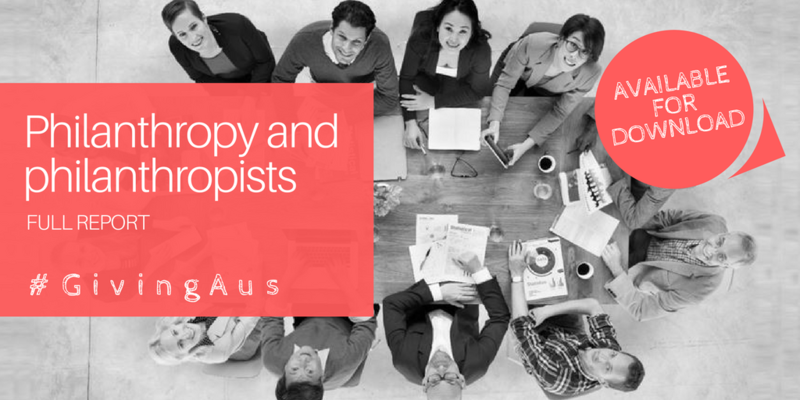 For this week we will be looking at some messages from Giving Australia out of the Philanthropy and Philanthropists report. Philanthropists consistently reported they wanted to ‘make a difference’ both in the survey and qualitative interviews and focus groups. Participants suggested that this belief could be influenced by receiving information about how their contribution would make a difference to recipients, and how they would see that this change occurs. 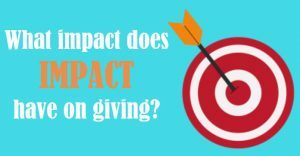 Giving could also be motivated by a sense of social reciprocity and desire to give back to the community that supported the donor to achieve their successes in life. The third most common motivating factor identified was a sense of personal satisfaction and fulfilment. It’s a very rewarding place to be… I think there’s a major feel good factor, so that you can bring the skills that you have to bear on something that provides positive outcomes. In terms of moving to a structured giving vehicle, the desire to give strategically to create a long term, financially sustainable giving channel was a key factor. Some philanthropists move from a mostly spontaneous approach to a more planned and structured approach by way of a philanthropic giving vehicle. The most common legal structure (adopted by 33% of respondents to the Philanthropy and philanthropists survey) was a Private Ancillary Fund (PAF), followed by charitable trusts and sub-funds. PAFs tended to be established by people who had the resources and the inclination to establish and manage their own fund. Sub-funds of umbrella organisations such as community foundations were established by people with smaller capital amounts to give or by those who preferred their giving to be part of a collective endeavour. Some opted for both. support foundations to leverage the relative freedom they have to take risks with their money. The longevity and economic sustainability of many NPOs increasingly relies on establishing new funding pathways. Shifting spontaneous, ad hoc or episodic giving to regular, consistent giving patterns where donors are happy to do this has been evident in the quest for longer-term relationships with givers that mean more reliable funding pipelines or income for their missions. Giving Australia found that 61% of individual giving and volunteering respondents indicated that they generally gave spontaneously, while 22.7% gave regularly to a request from the same cause and 16.3% were signed up to a regular automatic donation to an organisation. In 2005, planned donations were four times greater than spontaneous donations. In 2016, planned donations were six times greater than spontaneous donations. Of the survey respondents who were not committed donors (signed up to donate regularly to the same organisation), some 22.6% indicated they would consider becoming a committed donor. The most common factor identified by non-committed donors that would prompt them to become committed was ‘change in lifestyle’. However, only 8% of committed donors specified that this did prompt them to become a committed donor. In reality, the exposure to an issue, cause or individual organisation was identified by committed donors as the most common reason they give on a regular basis. What consistently came through in interviews and focus groups was the importance of building, supporting and maintaining authentic relationships with givers and volunteers. Increasing that deeper level of engagement was also highlighted in the volunteering data, with 87.4% of volunteers also making at least one monetary donation. Those who were volunteers, as well as monetary donors, gave, on average, $1,017.11 while those who were monetary donors but were not volunteers gave, on average, $536.69. Both our data and extant research shows that people are more likely to give and volunteer to those organisations they know and trust and those they believe can genuinely make a difference. This finding points to the need for organisations to strategically examine their relationships with donors and volunteers, and devote time to thinking about activities that will facilitate and sustain this trust over the longer-term. In honour of State of Origin kicking off tonight, we thought we would have a look at giving and volunteering to sports organisations. Giving Australia found that 7.7% of donors gave to sports organisations. The average amount donated to sports over the year was $395.89; however, because there were several larger donations in this pool, the median donation of $50 better reflects more typical giving. In total, Giving Australia estimated that $442.74 million was donated to sports organisations, representing 3.94% of all donations. Three-quarters (75.5%) of sports and recreational organisations surveyed in the charities and non-profit organisations surveys undertook fundraising activities in their most recent financial year. The most common sources targeted were everyday donors and government grants. Membership fees was by far the most common way these organisations raised money with 70% fundraising through membership fees. The second most common activity was raffles (50%), followed by community grants (42.5%) and other event-based fundraising (e.g. BBQs) (37.5%). Volunteer fundraisers were the most commonly used resource (55%) followed by networking with peers (27.5%) and other internal staff (25%). More than one-fifth of sports and recreational organisations used social media to aid their fundraising. Volunteers were incredibly important to sports and recreational organisations with nearly all (90.6%) having volunteers, and 18.9% having 100 or more volunteers. One-fifth of all volunteers in the Individual giving and volunteering survey (20.1%) volunteered for a sporting organisation and 7% volunteered for a recreational organisation in the 12 months prior to interview. The average number of hours volunteered over the year to sporting organisations was 91 hours (1.75 hours per week on average). This equated to 142.66 million hours in total (or 15.31% of all hours volunteered). Our sports volunteers tended to be male and between the ages of 35 and 54. This is to be expected as many of these people will have volunteered for their child’s sporting clubs. This age group were also volunteering for schools. Volunteers in the Individual giving and volunteering survey identified the activities they undertook while volunteering for sports and recreation organisations. The most common type of activity for sports organisations was coaching, refereeing, counselling, mentoring with a quarter (25.9%) of all volunteers involved in these activities. Overall, 43.8% of volunteer-involving sports and recreation organisations allowed people to volunteer without being physically present. The most common activities were skilled online volunteering and promotion of a cause via social media. More than half (58.3%) of volunteer-involving sports and recreation organisations had a manager of volunteers. This person was most commonly unpaid and part-time. Nearly all (93.8%) volunteer-involving sports and recreation organisations did not have formal contracts for volunteers. A third had no volunteer program at all, while 29.2% had an informal training program (and 25% had a formal program). Around ninety per cent (89.6%) of sports and recreation organisations provided some form of recognition to their volunteers. The most common form of recognition was public acknowledgment in newsletters, annual reporters, website, social media etc. with 58.3% of volunteer-involving sports and recreation organisations providing this form of volunteer recognition. Overall, 76.9% of sports and recreation organisations surveyed had a website or webpage and half (51.3%) of these were mobile enabled. This was very similar to the statistics for all charities and NPOs, with 80.4% having a website or webpage and 50.8% of these being optimised for mobile technology. Most commonly websites for these organisations were used to provide information, share news and promote the organisation. Some 55% used it to promote events. Overall, 68.6% of sports and recreation organisations were using at least one form of social media, compared to 65.3% of all charities and NPOs. Nearly all sports and recreation organisations were using Facebook with only a small number using other platforms. Social media was most commonly used to provide information, promote events and to communicate with members/supports. Nearly a third of sports and recreation organisations were using social media to recruit volunteers or ask for donations. It was most common for sports and recreation organisations to post several times a week (34.3%), followed by several times a month (17.1%) or once a week (11.4%). Overall, 78.9% of sports and recreation organisations felt that technology was quite or extremely important for the future of giving and volunteering yet only 11.5% of sports and recreation organisations felt they were currently using technology quite well and none felt they were using technology extremely well. Thank you to all the valuable givers and volunteers for sports organisations ensuring the great Australian pastime continues. Go the Maroons! Today is the first day of the Christian Ministry Advancement (CMA) conference, being held at the Brisbane Convention Centre, where our own Myles McGregor-Lowndes will be co-hosting a panel discussing the ACNC review. ACPNS will also be well represented by Dr Ruth Knight and Margaret Scott each speaking at the conference as well. In light of this, today’s key messages focus around the role of religion in giving and volunteering. 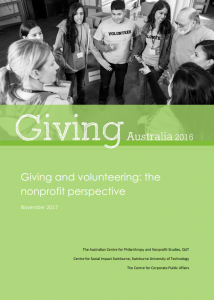 Giving Australia found that approximately 23.5% of givers each donated $932.50 on average to religious charities in the 12 months prior to interview, and 18.3% of volunteers volunteered 119 hours on average in the same period to religious organisations. This equates to $3.2 billion donated to religious organisations in a year or 28% of all donations. Furthermore, 17% of all volunteer hours went to religious organisations, an estimated 161 million hours. According to the ACNC, some 681,574 people are volunteers for religious organisations, with religious organisations each having 47 volunteers on average. This is the largest total of any sector, and more than 100,000 more volunteers than the next largest sector, social services. Do religious people give more? Overall giving by those who identified with a religion was nearly double that of non-religious givers ($1,000.81 vs. $551.47), this was due to religious people giving on average $1,006.36 to religious causes in the year. When looking at giving to non-religious causes, those who identified with a religion gave $559.31 on average, compared to $545.97 for those who did not identify with a religion. Those who attended religious services several times a week donated the greatest amount, and as the number of services attended decreased, so too did the average amount donated to religious and non-religious organisations. A similar pattern emerged with volunteering. Those who identified with a religion volunteered on average 121 hours in the year to religious organisations and 127 hours to non-religious organisations. Those who did not identify with a religion volunteered 123 hours on average to non-religious organisations. Overall, those who identified with a religion volunteered 145 hours to all causes in the year, compared to 123 hours for those who did not identify with a religion. Those who attended religious services several times a week volunteered the greatest number of hours to religious organisations over the year. They also volunteered 150 hours on average to non-religious organisations over the year. Those who identified with a religion but never attended religious services volunteered 155 hours on average over the year to non-religious organisations. Those attending religious services 2–3 times a month volunteered the least number of hours on average to religious services (49 hours) but volunteered 141 hours on average over the year to non‑religious organisations. Cortis, Natasha, Andrew Young, Abigail Powell, Rebecca Reeve, Roger Simnett, Kerrie-Anne Ho and Ioana Ramia. 2016. Australian charities report 2015: Centre for Social Impact and Social Policy Research Centre, UNSW Australia. http://www.csi.edu.au/media/Australian_Charities_Report_2015_Web_ND8DU2P.pdf. Giving Australia revealed that less than half of adult Australians have made a Will and of this, 7.4% have included a gift to a charity in their Will. Respondents who gave or volunteered were more likely to have made a Will, and also more likely to have left a charitable bequest. Women were more likely to have a made a Will as were those older Australians, however there was no relationship between gender or age on the likelihood of including a charitable bequest. While income was not strongly related to having made a Will and not related to the likelihood of including a bequest, 89.3% of philanthropists in the philanthropy and philanthropists survey indicated they have a Will, and 35.7% reporting including a charitable bequest in their Will. Researchers in western nations have consistently found the standard pattern in estate distribution is for the first partner of a couple to leave their personal estate to their spouse; and for the surviving spouse to subsequently leave the estate to the children, in full and in equal share (Menchik and David 1983; Finch and Mason 2000; O’Dwyer 2001). Focus group and interview participants described the strongest influence over the decision to leave a charitable bequest to be the perceived capacity to leave a bequest, although this amount is entirely subjective and there is no objective measure of ‘how much is enough’. I think I get more benefit from donating each year to charities than from the bequest because I won’t be there to see what they do with the bequest money. Where next on charitable bequests? protecting people against the risks of financial abuse, bullying and breaches of privacy from overzealous organisations. 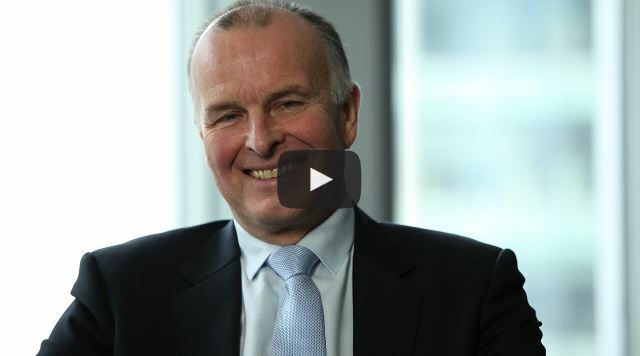 Welcome to 50 Key Messages from Giving Australia! We are thrilled to bring you these short, sharp, easy-to-digest messages that delve into some of the fascinating data coming out of Giving Australia, our largest national analysis of giving and volunteering. We will bring you new messages each day in June/July 2018. So strap yourself in; you might be surprised by some of the findings! As it’s Workplace Giving Month, we thought we would kick off the key messages with three messages about workplace giving. As the ATO has consistently found, around 5% of all employees in workplace giving organisations participate in the program, and $35 million was donated in this was in 2015-16. Giving Australia found that women had a slightly higher participation rate in workplace giving than men. However, men made on average more than double the annual monetary donation ($1,385.46) than did women ($649.44). Giving Australia also found that those aged 35–44 years had the greatest participation rate in workplace giving programs, as did those with a postgraduate qualification. 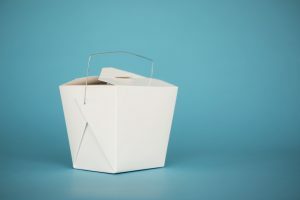 Convenience was a significant factor in survey respondents deciding to use workplace giving, but as with giving in general, the dominant reason was a match of cause and personal values. For those that don’t give by workplace giving, the most common reason was ‘not enough money’, followed by, ‘I prefer to do it myself’ and ‘I give in other ways’. The business report found that 85% of large businesses allowed employees to make pre-tax regular donations to nonprofit organisations (NPOs) through their pay and of this group, 56% matched employee giving. Given the size of most small and medium-sized enterprises (SMEs), establishing and managing opportunities for payroll giving by employees remained challenging. Less than one-third (28%) of SMEs offered payroll giving. Of this group, 26% of businesses matched employee donations (e.g. dollar for dollar). According to the individual giving and volunteering report, 8.5% of people use workplace giving because their organisation matches their gift. matched giving in businesses provided employees with the opportunity to, in most cases, double the contribution they made to a charity. In terms of workplace volunteering, about one-third of mid-tier companies and 63% of corporations managed a formal volunteering program. Only 6% of SMES managed a formal volunteering program. Half of all corporations managing a formal program sought to integrate workplace volunteering in their community partnerships. Almost 90% of large businesses reported allocating more resources to volunteering compared to 10 years ago and wanted to see more of their workforce participating in workplace volunteering (the average participation rate was 21%). 50 Key Messages – Coming your way in 2018! Easy to digest and good for you! There is so much fascinating data coming out of Giving Australia – the largest ever research effort into philanthropic behaviour to understand how, why and how much Australians give to charity – that we’ll be featuring a new key message daily in June and July of 2018. Get inspired and informed as we take you through 50 of the most fascinating and informative facts and figures that #GivingAus has uncovered. A new message, along with a link to the accompanying report, will be featured daily. So sign up now to get notifications on the 50 Key Messages calendar, you won’t want to miss them! Email acpns@qut.edu.au to be one of the first in the know. 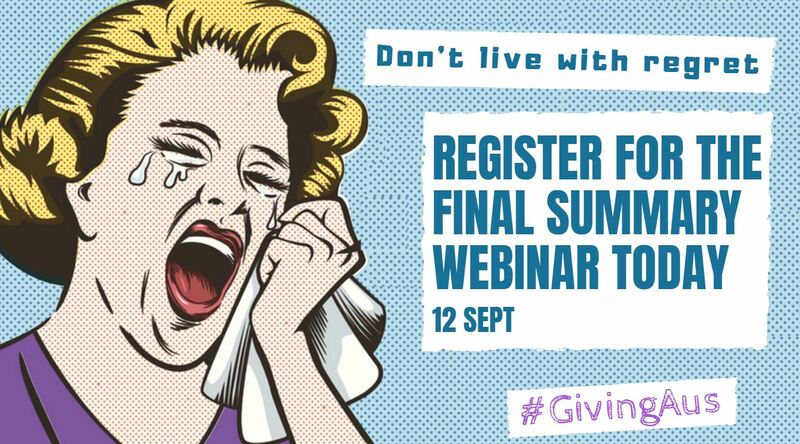 Don’t miss this upcoming webinar on BUSINESS GIVING AND VOLUNTEERING! According to Giving Australia 2016, our largest national analysis of giving and volunteering, Australian businesses are giving more to charity than ever before. In fact partnering with nonprofits to generate positive social impact is becoming more embedded in how Australian enterprises of all sizes do business each and every year. So what does this mean for YOUR nonprofit or business? how YOUR nonprofit or business can benefit from this upward trend. with input from the Australian Centre for Philanthropy and Nonprofit Studies and the Department of Social Services. The following data has been extracted from the Giving Australia 2016 Business giving and volunteering report. The full report is available for free download. The qualitative data indicates that giving by business has evolved since 2005 to be embedded in the strategies of the largest businesses in Australia and that most businesses of all sizes were seeking to generate a positive social impact from what they gave. $8.5 billion in their last financial year (see Figure 1). Social impact is the net effect of an activity on a community and the wellbeing of individuals and families [CSI 2016]. A social impact can be positive or negative. In 2015–2016, one of the objectives driving business giving was to generate an impact in the community that improved or strengthened the well-being of individuals, households, or communities. Corporations, the largest businesses in the nation, gave $7.9 billion (88% of large business giving: see Figure 2). The following data has been extracted from the Giving Australia 2016 Individual giving and volunteering report. The full report is available for free download. Through the Individual giving and volunteering survey, it was estimated that in the 12 months prior to interview in 2016, 14.9 million Australians aged 18 or older (80.8% of the adult population) gave a total of $11.2 billion to charities and nonprofit organisations (NPOs). Those giving gave an average of $764.08 each, while the median amount donated was $200 per donor. In addition to donations, in 2016, individuals gave an estimated $1.3 billion to NPOs through events and ‘charity gambling’. An estimated 9.2 million people, or 49.7% of adult Australians, supported NPOs in this way, contributing an average of $149.42 annually. By far the most popular of these methods of giving was charitable gambling with 45.2% of adult Australians purchasing a raffle ticket in the year prior to interview. Most (88.5%) providing support in this way also made donations. It was estimated that all monetary donations of $11.2 billion represented 0.68% of Gross Domestic Product (GDP). When raffles and significant items from charity auctions were included, the total giving figure of $12.5 billion represented 0.76% of GDP. Over the year prior to interview in 2016, an estimated 8.7 million people or 43.7% of the adult population, gave 932 million hours of their time as volunteers to charities and NPOs, an annual average of 134 hours each (or 2.5 hours per week). The median for volunteering hours was 55, half volunteering more and half less than this amount in the year. 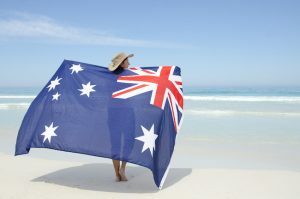 In Giving Australia 2005, it was estimated that a higher percentage – 86.9% of the adult population – made a donation, totalling $5.7 billion (equivalent to $7.5 billion in 2016 dollars). The Australian Taxation Office (ATO) annual tax-deductible giving data indicates a fairly constant percentage of people claiming deductions for donations since 2005, while the average donation has risen, except for the years immediately after the 2008 Global Financial Crisis. The ABS (2015b) General Social Survey (GSS) found in 2014, 31.3% of the Australian population aged 15 years and over volunteered for at least one organisation. Women were more likely to have volunteered than men (33.5% compared to 29.1%). 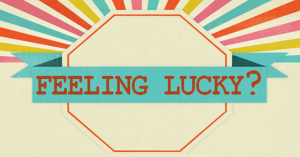 Charity gambling includes purchasing raffle tickets and charity auction items. 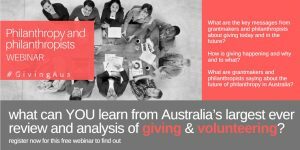 FREE WEBINAR: GIVING & PHILANTHROPY: How does Queensland measure up? 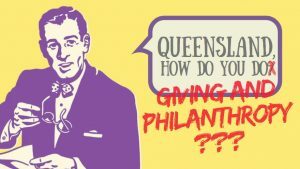 Giving and philanthropy: How does Queensland measure up? 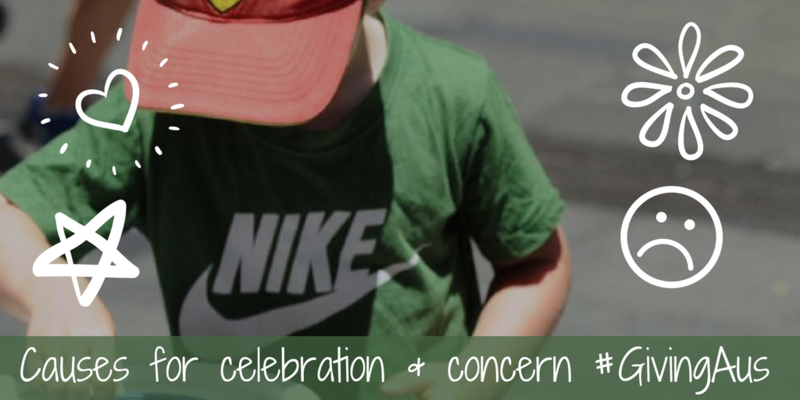 Celebrating giving and volunteering in Queensland. who gives? | who volunteers? | why? | how? | where to next? Data from the philanthropy sector is rare in this country. 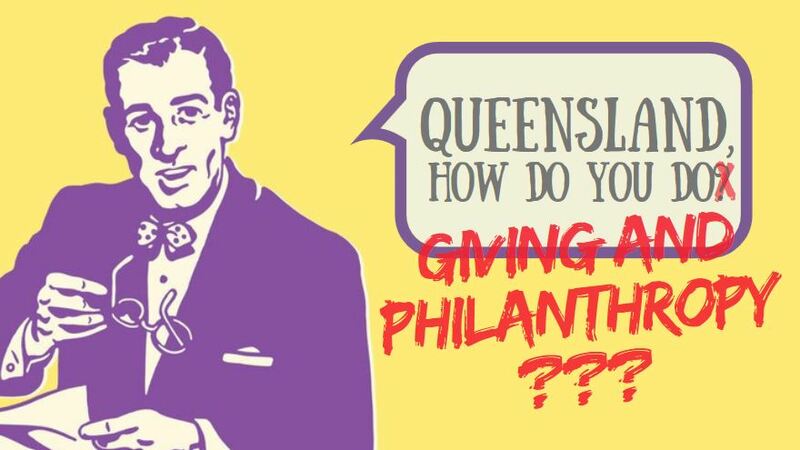 Hear from those in the know on how much Queenslanders give and volunteer, and what this means for Queensland’s philanthropic/nonprofit and for-profit sectors. to maintain family history and values. Individuals and foundation/trust representatives participating in this research consistently emphasised the importance of being able to make a difference with their giving. 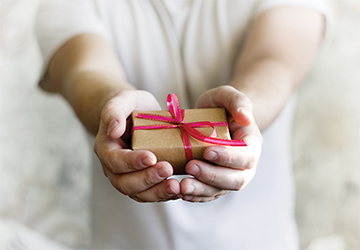 For individuals, a sense of social reciprocity and the desire to give back to the community that supported them was a widely shared motivator for giving. Philanthropists commonly valued the sense of personal satisfaction and fulfilment that is part of their process of giving. For some, their underlying philosophical beliefs are a strong motivator for giving, as ‘the right thing to do’. Some participants want to set an example, to role model the values and behaviours of giving, both for their families and for their peers. Philanthropists are often motivated to give to specific organisations or causes where there is a personal, social connection. For many, giving is something that they continue on as a natural extension of the values and behaviours modelled and passed down through the family; ‘it’s what we do’. to involve family in giving. Philanthropy and philanthropists – Who gives? Of the Philanthropy and philanthropists survey respondents, 18.1% were under 40; 46.6% were 40 to 59 and 35.3% were 60 or older. Young philanthropists accruing wealth expressed a strong desire to give what they can as they are building their wealth. Retired individuals reported more time and more resources to commit. Some focus group and interview participants perceived that gender (and age) imbalance affected organisational culture and practices in the philanthropy sector. Some participants argued the virtues of targeting giving to women and girls to achieve better outcomes for families and communities. Use of a ‘gender lens’ in giving is seen to have potential to increase the effectiveness of philanthropic investments in the communities served. The majority (84.5%) of survey respondents were born in Australia and 31.3% had one or both parents born outside of Australia. This reflects the predominant foundation cultures rather than the changing mix that characterises Australia in the 21st century. Qualitative research participants saw a broadening of the perception of philanthropy, not just confined to the most wealthy, but increasingly a democratised set of practices accessible to the many. Those who do give see the perceptions of capacity to give as a major barrier for those who do not give. Four major themes emerged from the research in the Philanthropy and philanthropists report. The full report is available for free download. Culture, in the sense of shared norms and values, is an enduring motivator and shaper of giving behaviour. The influence of culture on giving extends to and is magnified by culture within families; within communities; across ethno-religious and racial groups; and national cultural values related to philanthropy. Participants in focus groups and interviews saw opportunities in embracing multiple cultures to harness shared passion and commitment to addressing social issues. the channels through which they give. Many attributed their giving to values learned at an early age from their families/communities/religions. The prevalent role of culture and values in shaping giving practices is consistent with the findings of Giving Australia 2005. The mechanisms by which giving cultures are shaped appear to be expanding as new (or recently revived) mechanisms and practices emerge. These include an increased focus on collective giving and the rise of social networking media in peer-based giving. One of the strongest meta-themes of the 2016 research was the ‘democratisation’ of philanthropy: that is, an emphasis on giving as being ‘everyone’s business’. A consistent and dominant theme in the research was the importance to philanthropists of being able to ‘make a difference’; to have some agency in achieving a desired outcome. While this echoes the emphasis in Giving Australia 2005 on strategic giving by philanthropists, it also introduces a more explicit intent around having a positive impact in giving. This growing emphasis on having an impact and being engaged and to a degree, in control of giving outcomes, is consistent with experience around the world. legal and regulatory policies that affect structured giving, including bequeathing. 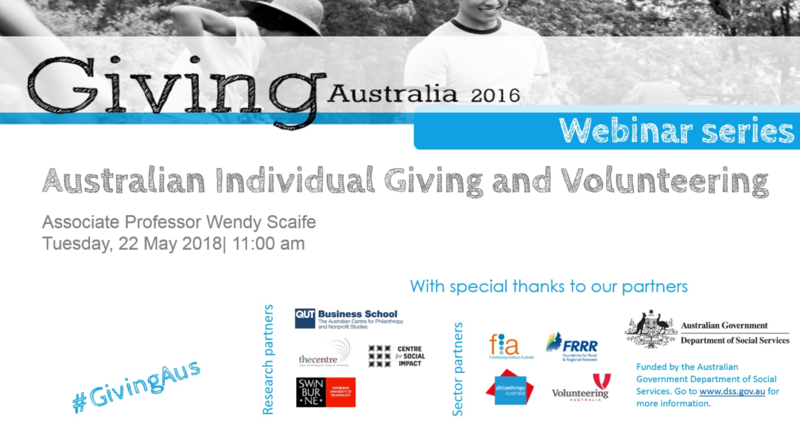 The findings of Giving Australia 2016 suggest that to advance structured and institutional giving in Australia, regulatory conditions ideally should make giving easy and attractive, accommodate the nature of giving across contemporary life stages and recognise the diversity of causes to which philanthropists seek to give. The emergence of digital and collective giving platforms provides rich opportunities for advancing cultures of giving in Australia. Trends, challenges and opportunities in volunteering: How will Australia compare? Thank you to ACPNS alumnus, Kylee Bates for this blog. 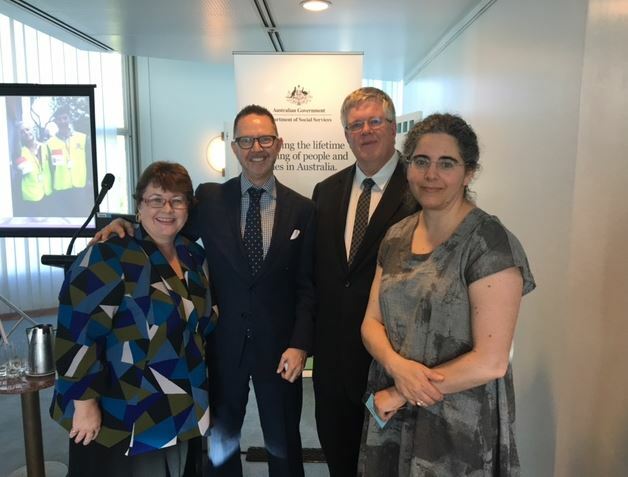 Like many leaders in the volunteering sector I am eagerly awaiting the launch of the findings of the Giving Australia Research that has been funded by the Prime Minister’s Community Business Partnership. Like others, I’m keen to learn what the research tells us about the current state of volunteering in Australia that we feel we don’t already know. Importantly, I want to see how government and sector leaders will choose to respond to in order to better support volunteering so as to be able to mobilise more Australians for greater impact in responding to some of Australia and the world’s greatest social, economic and environmental challenges. As the volunteer World President, or ‘Chief Volunteer Officer’ of the International Association of Volunteer Effort (IAVE) the state of the world’s volunteering is something close to my heart, and understanding Australia’s place in that global picture has the potential to be a source of personal pride (or disappointment), depending on what the research tells us. 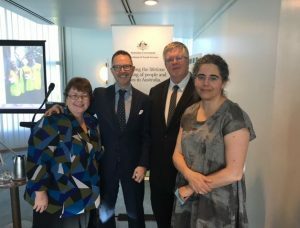 I am particularly interested to learn what researchers have discovered about the trends, challenges and opportunities that have been identified for volunteering in Australia and examining how these compare to those that exist globally. Throughout 2015 IAVE, as a global membership organisation that exists to promote, support and celebrate volunteering in all the myriad of ways it happens throughout the world, undertook worldwide consultations to develop our new strategic plan. We asked our members and stakeholder to tell us the key factors that they believed were impacting on volunteering in their country or region and what challenges and opportunities they felt these presented for volunteering globally. The views expressed were diverse. Not surprising given the diversity of the IAVE network and stakeholders that span different regions, countries, polities and sectors around the world. We heard that there is growing concern about actions by government that suppress and control the work of civil society, actions that lead to increased danger to some volunteers especially those working on unpopular issues or with marginalised groups of people, or deny the right to volunteer. We heard that with the greatest mass movement of people that the world has ever seen that there is greater need to mobilize volunteers to respond to immediate need as well as longer term relocation and resettlement challenges. But that volunteer involvement by those displaced, migrating or seeking refuge provides an avenue to successfully integrate into new communities. We heard that the SDGs provide a new framework for understanding development issues globally and can provide new motivation for volunteer action. We heard that new expectations are being created for people and organisations to draw on global perspectives and connections to solve problems. That with this there is more interest in cross-border volunteering, but a need to also foster ‘indigenous’ forms of volunteering. We heard that the potential for everyone in the world to be connected by one degree of separation as a result of new technologies creates opportunities for new reach, forms of interaction, citizen engagement and volunteering, but that the effectiveness of these tools is the product of their users and tools alone cannot provide the solutions. We heard that as climate change pushes us towards the limits of our planetary boundaries a high priority must be placed on building community resilience through volunteering at all stages of disaster preparedness and recovery. We heard that that the private sector is seen as – and must be – a critical partner in finding solutions to the complex societal challenges that exist throughout the world and that employee volunteering programs are an important platform for engaging more people, more often, in the pursuit of these. We heard that for all stakeholder groups that there is an increased need to measure the impact of the work that volunteers do, as well as ensuring that there is good global data about the size and scope of volunteer effort. I can’t wait to hear what Giving Australia 2016 tells us about the issues, challenges and opportunities for volunteering in Australia and how this might inform our approaches to mobilising and increasing the impact of volunteers. As a country with just a small proportion of the world’s estimated 1 billion volunteers Australia is an active and well-regarded contributor to global discussions on volunteering so the opportunity to share the learnings of this research with others is significant. As is the opportunity to further mobilise more Australians to volunteer. I am looking forward to doing both.